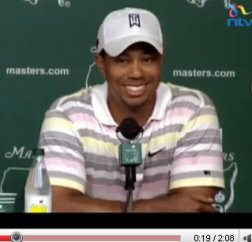 Tiger Woods talked about golf, his family, and even had an occasional smile along the way. He claims to be a new person and ready to join his fellow PGA players at Augusta National. However, people like Joslyn James says that Tiger Woods is a “big fat liar”.